This title is from my friend Evan. He loved it, and it actually got him to eat his peas! After dinner, I asked my friends, "Guys. What should I call this on my blog?" Evan happily said, "Sweet meat." He was so matter-of-fact about it, like it was the most obvious thing in the world. You're right, Evan. This meat is sweet. 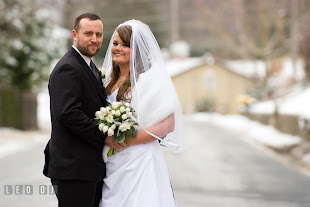 And now his fiance and my dear friend Lauren knows she can get him to eat peas if they are covered in soy sauce and brown sugar. This whole thing happened randomly. I was visiting my friends in the city last weekend, and wanted to thank them for their incredible hospitality by cooking dinner for everyone. That Saturday morning, Michael and I ventured over to a local Bronx grocery store. I found some beef strips on sale, and thought about making a delicious sauce to serve with it, poured over brown rice. I wanted it to be easy, but still delicious. I grabbed a can of beef broth, a bottle of soy sauce, and a box of brown sugar. Makings for a ridiculous sauce. Start off by browning the meat. I needed to feed about 7 people, so I cooked up 3 pounds of beef strips. Pour a little oil in a screaming hot skillet. Let the strips cook for a few minutes on each side, only until just browned. The hot skillet sears the little strips. You want to use canola or vegetable oil. Olive oil doesn't hold up to high heat very well, and may burn before you are done cooking all the batches of beef strips. By the way, there are lots of things that would work for this. I believe the store where we were called them "beef strips" but you may also see "fajita strips". Also, you could get flank steak and slice it yourself! Just use a sharp knife, cut thin strips at a slight diagonal against the grain of the meat. After all the meat is browned, drain some of the oil if you need to and lower the heat. 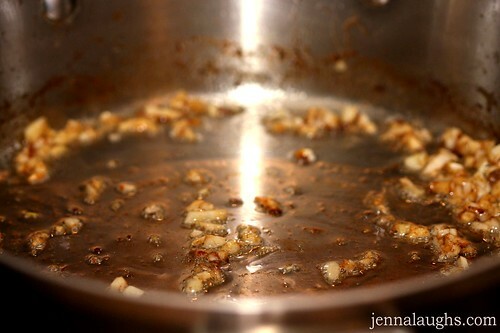 Then throw in 2 cloves of minced garlic. Cook it for a few minutes. 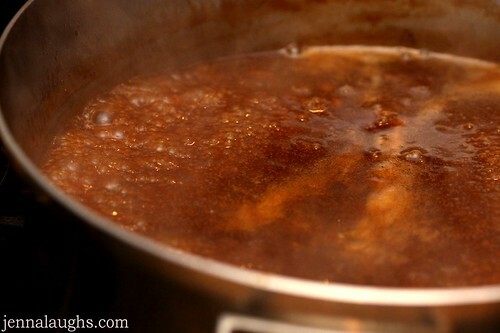 Pour in the can of beef broth, 1/2 cup of soy sauce, 1/2 cup of brown sugar and 1/2 cup of water. Stir it around and let it simmer for a few minutes. The sauce should get thicker, but not too thick. Oh! Don't forget to make some brown rice. Or white rice. Or whatever kind of rice floats your boat. 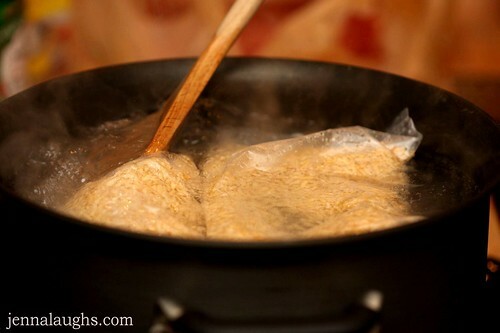 Notice how I cheated and used the 10-minute boil-in-bags. That's just the kinda girl I am. 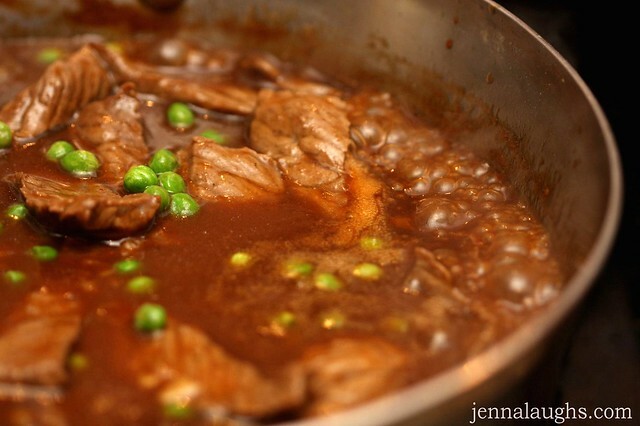 Once the sauce has been simmering for a few minutes, add in the beef and peas. Stir it around and let the peas warm through. Now look over at all your friends who are drooling in the living room. I served the beef over rice, followed by an extra spoonful of sauce. The warm, sweet sauce soaks into the rice. This one is easy and feeds a crowd. I hope you try it! Heat a large skillet over high heat. Pour in oil and cook the beef strips in batches, about 10 strips at a time. Only cook them for a few minutes on each side until browned. The hot skillet will sear the juices into the strips. Between each batch, put the strips on a plate or a bowl, then set aside to make the sauce. 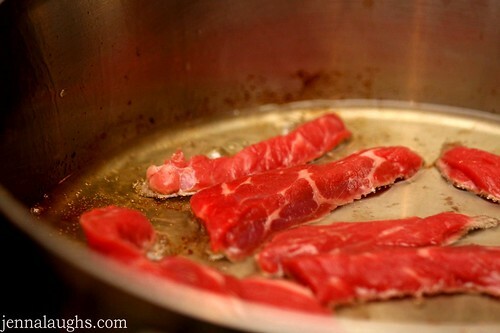 Lower the heat and remove any extra oil you may have left over from browning the beef. Then add 2 cloves of minced garlic. Cook for a few minutes. Pour in beef broth, soy sauce, water and brown sugar. Stir until the sugar is dissolved. Continue cooking on low heat for 5-7 minutes, until the sauce thickens a bit. Season with salt and pepper. 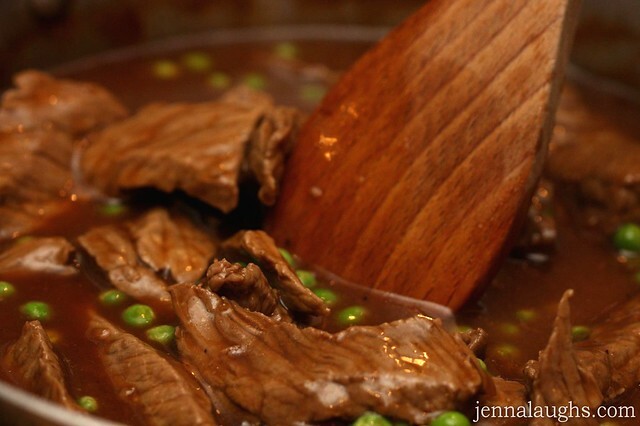 Then add cooked beef strips and peas. Cook for a few more minutes on low heat, until the peas are warmed through. Serve over rice with extra spoonfuls of sauce. Looks very good, Jenna. I love these kind of sweet-savory sauces. Whoa. That meat looks gloriously and wonderfully cooked. Especially with that sweet-and-savory sauce.